Hi everyone!. 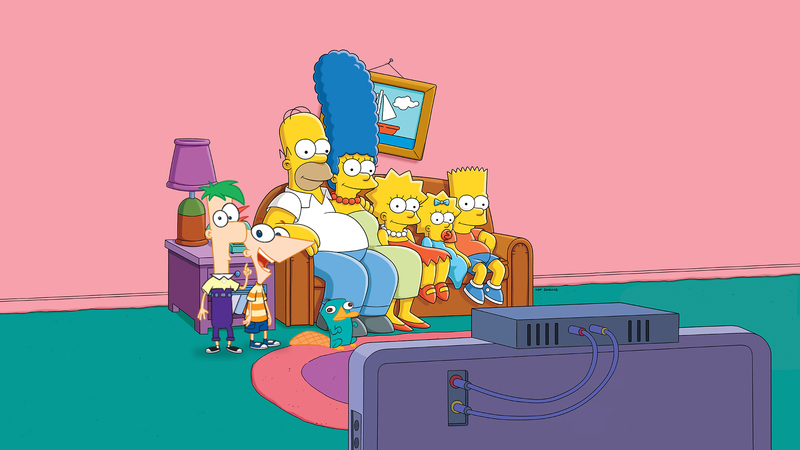 As 20th Century Fox is now part of The Walt Disney Company, now it's possible a crossover between The Simpsons or Family Guy with Disney's animated series Phineas and Ferb, but for me it's probably that never will produce, due to the mature content of those Fox's animated series, and that would cause a lot of controversy due to would be a crossover between a kid show and a adult show and Phineas and Ferb is a kid show and so as not to harm the mental health of children, that kind of crossovers would never be produced. Would be the first PnF adult crossover or in case that would never produce, unless that Phineas and Ferb (and Perry the Platypus) make a cameo in an episode of The Simpsons or Family Guy for make reference or parody to the Disney's series, like in The Simpsons' episode "Bart Star" when the characters of King of the Hill made a cameo in that episode. Phineas and Ferb's series ended in June 12, 2015. The Simpsons made crossovers with Family Guy, Futurama, Rick and Morty and themselves from The Tracey Ullman Show's shorts. Family Guy made crossovers with American Dad! and The Cleveland Show. Phineas and Ferb made crossovers with Marvel's superheros, Star Wars and Milo's Murphy Law and with 20th Century Fox as part of Disney, with The Simpsons or Family Guy. Or not? PnF creators Dan Povenmire and Jeff "Swampy" Marsh has worked together in the first seasons of The Simpsons as character layout artist, storyboard artist, background layout artist, background designer, character layout artist and computer animation design & layout. Dan Povenmire also was member of the production team of Family Guy and with the acquisition of 21st Century Fox by Disney, both would return to work in The Simpsons and Family Guy. What do you think? 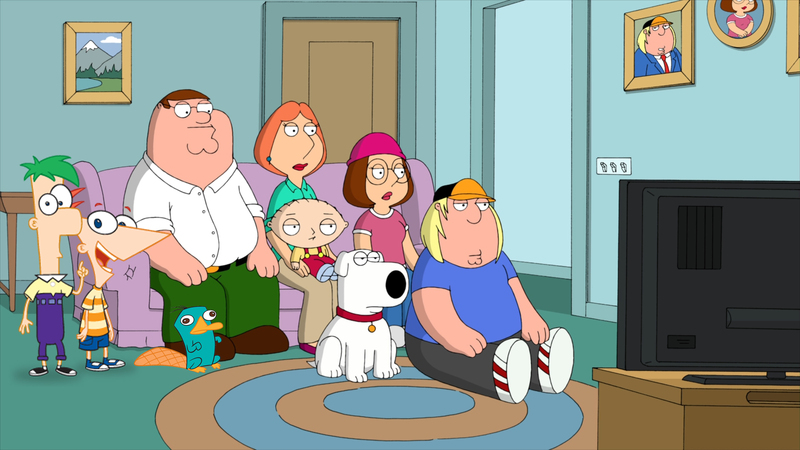 Disney can or can't do a crossover between The Simpsons or Family Guy with Phineas and Ferb?. If they don't have a special where Bart and Lisa get stranded in Gravity Falls, why the hell did Disney buy Fox then. Since Phineas & Ferb has ended several years ago I don't think any crossovers with either show on the horizon seems likely (especially with Family Guy), though as a couch gag on The Simpsons is a possibility. I would like a Gravity Falls cough gag, though. Seems like an obvious crossover thing now (and despite it ended it's arguably much more popular). THAT'S IT BACK TO WINNIPEG!